Traci Reed is a unicorn of the scrapbooking world. 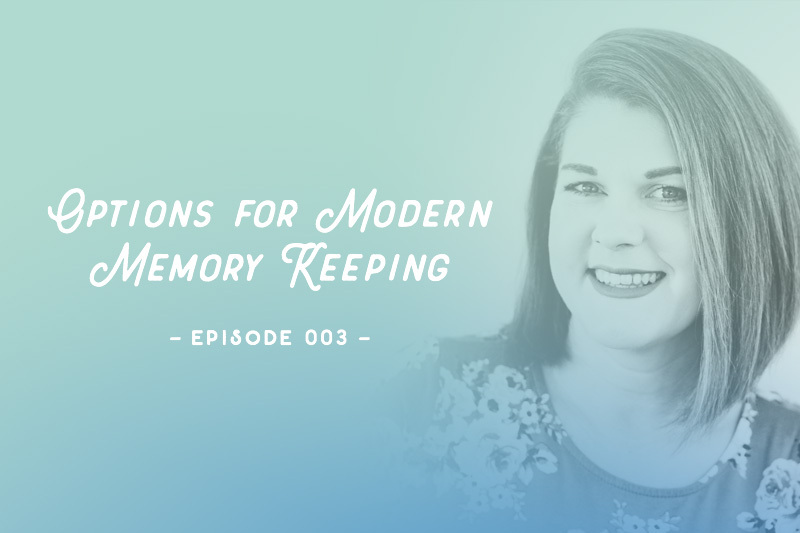 With extensive experience in both digital and paper scrapbooking as a hobbyist and as a professional, I could think of no better person to dive into the array of options for today’s memory keeper. We journey through Traci’s own joys and sorrows to offer insights on how to choose what might work best for you. I really enjoyed this episode (listening to all of them multiple times) and understanding the frustrations adjusting to the changes in photography, different methods of scrapbooking (paper-digital-paper-Project Life-paper). I have had been working with older tools, digging out older embellishments, and so forth and finding my muse is returning. I had been in a slump for quite some time. Thanks for listening! I’m so thrilled to hear that your creative fire has been rekindled. Hi, I love the new podcast and this episode. I just found it a few days ago and have been listening a lot. I’m curious if there is a place to find more info on how she uses Trello for planning projects and stories, and also if there is a place to learn more about when she describes planning and laying out digitally, and then creating on paper. I think this would be a good fit for me, but I don’t know where to start. Hi, Tara! Trello is a popular topic within our member community, where it’s been highlighted in many a post and even a member video! This blog post might give you a better idea of how Trello could be used to organize your stories to tell: http://www.thedigitalpress.co/tutorial-tuesday-get-organized-with-trello/ For hybrid, I’d recommend checking out Traci’s You Tube channel where she has some videos that take you through her process: https://www.youtube.com/user/tracimreed/ I also like Cathy Zielske’s hybrid approach and you can see her approach here: https://www.youtube.com/playlist?list=PLX7QSPZLC53-V_cYHU6dC2_Z8OMlRg9I8 Let us know how it goes!